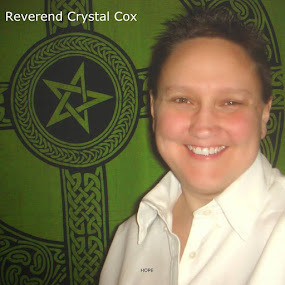 Reverend Crystal Cox, New Earth Ministry; Professional Psychic: YOU are ALL Healers. Know it and Just Do it. YOU are ALL Healers. Know it and Just Do it. Years ago I heard Dolores Cannon, a ‎Quantum Healing Hypnotherapist, talking in a Video about her therapy and about while being in a “session” with a client, she saw Cancer and while she was “in there” she may as well clean it up. In other words, while having the client in a state where their day to day mind chatter, beliefs and programs are not controlling their physical body, ailments, pain, discomfort and disease, while in that state she, somehow, took them to a place where they did not have Cancer. I thought this to be wonderful and if that type of “healing” existed, then there is nothing else that one should bother “practicing”. I thought that if Cancer can be healed by this Quantum process, by leading the patient to somehow heal themselves, then that was the only type of healing I am interested in, how, in the world did she do that? Years later, after hearing of the Mandela Effect and realizing I, indeed, had shifted Realities, I read some information from Cynthia Sue Larson and heard some of her interviews. She talked about healing her daughter of a broken leg, and healing others in a way whereby say a leg was broke and she moved them, their consciousness, to a physical “reality” where they did not have a broken leg. She talked of being able to move people to a reality where, say, they did not have said ailment or disease, broken bone or physical trauma. Once I heard people were actually doing that, in physical reality and not simply a what if, or a philosophy or healing technique of the ancient past or distant future, I wanted to know how to do this on myself and others with such a profound. “Real world” affect. Where to start came to mind. What words to use to search that kind of quantum healing, as there was so much information out there using these same words, yet the healing left me wondering the How To of it all. So much information put out there to draw people to buy a book, take a class, follow a guru, get certified, and to learn certain trademarked protocols in order to learn this mysterious secret technique to perform miracles on myself and other. The kind of healing that moves bones in such a way you can see them moving. A type of healing whereby your body heals itself. A healing that neutralizes cancer and any dis-ease and can actually mend bones, and heal in ways that most call a miracle and believe that they cannot give or receive this miracle themselves. They believe that only God can do this kind of perceived miracle healing and that God is outside of themselves. Or they believe they need to save up and take a course or pay another to heal them and they seem to give up with those seemingly impossible bridges to cross. The books and videos I previously mentioned did not go into the how to detail and I did not have the money to pay a practitioner to teach me. I could not find the exact methods of how to actually do what I now know I can, and we all can do. I also had many emotional blocks to address to even consider being worthy of being healed. I had learned of the power of thought long ago and the miracles that come from consciously choosing what you focus your thoughts on. I have studied the law of attraction in ancient text, and know that what I think I create. However, I, decades of study and getting better and better at remember to apply that knowledge to every part of my life and health, and still I had no idea that I could, in an instant, actually change physical reality in such a dramatic way. I studied Energy Healing from many books and gatherings. Information such as that of Yogi Ramacharaka, Barbara Eden, Barbara Brennan, Raymon Grace, Dolores Krieger, Dolores Cannon, John of God, Faith Healing, Shamanic Healing, Reiki and so many other forms of healing, however I did not have profound effects until I spend decades clearing old energy, patterns, programs, and massive time alone with self. And after years with a Shamanic Quantum Healer to remove my own resistance to healing myself and others in the profound, even say dramatic or miraculous way in wish I always wanted to be able to do. Now I deeply understand hands on healing, faith healing, energy healing, quantum healing in a whole new, directly connected to source, to my God self, to my own innate way. A way I can and do now. I put this energy, this type of innate healing into action every single day, most of the entire day. I am getting stronger and more powerful daily and thereby more effective to performing those types of perceived healing miracles. I have never followed western medicine,taken prescriptions or and listened to medical degreed doctors who have no true desire to cure but only treat symptoms and get people hooked on prescription drugs. Mainstream doctors are so cold and do not seem to believe that emotions or thought have anything to do with healing. They do not believe in or practice energy healing or seem to work in any way that is natural to the body in any way. They do not use Plant Medicine and ridicule their patients who do believe in ways that are natural to humans and are our natural birthright innate healing abilities. It all seemed to boil down to needing others to heal. A need for doctors, chiropractors, specialists, drug companies and all that “commercial” enterprise of YOU feeling good that is so disconnected from your true source to actually heal yourself FREE from all others should you choose to do so and are awakened to that innate part of you that knows what to do to heal you. Still, I did not understand how the Faith Healers, the Quantum Healers, the Witches, the Healers actually healed with something beyond subtle energy healing, beyond everyday thought, beyond herbal tea, elixirs and running energy as I have known it to be. I have seen people cured with plants of serious disease. I have seen black salve remove tumors and seen high alkaline diets cure cancer. I have seen miracles with plants, herbs, and energy work. Dendritic Cell Therapy, Alkaline Therapy, Oxygen therapy, Frequency Cures: I have studied all of these and lot’s more in depth for over 30 years. And I have seen and met people cured of cancer and other disease in which “doctors” claim is not curable. However, to heal, to cure, to set bones with ENERGY, how is this done and how to do it became the quest. How can I do it and Free the mystery around it all and once Free, shout it from the proverbial rooftops per say and awaken the innate in all who, like me, simply, did not “get it” in a way to actually “do it”. The kind of healing whereby a bone is broke out of the skin and quantum healing puts it back as if it never happened, the kind of healing that convinces the body it simply does not have cancer and cancer is gone in an instant, the kind of healing that makes the body walk when walking was never possible, and the kind of healing that has been past deemed as sorcery, magic or a miracle. How does one do that? Who can do that? Is this the “magic” of the past? Is this what the witches did? How about the Faith Healers who so many deemed a fraud? Is this the healing that druids, wizards, and perhaps Jesus did? Yes it is, and we can ALL do it. And now in the New Energy of New Earth we can do it with less resistance in mass. The new energy brings with it new and stronger healing energy, and our innate, our own bodies already know what to do with this energy, we simply have to let it. Where did the magic go? Where did this healing go and why do so few do this kind of healing? It seems to use no plants, no doctors, no drugs, and is simply a “state of mind” that somehow heals the body. So How Does One Do This? I have had energy work from many people over decades. I have had some healing, some flow. However once I met the healer I have now, I really began to see shifts in my physical body and what I knew as my reality. And once I took personal responsibility for what was blocking me to heal and used things such as EMDR and EFT to remove blocks constantly, then I opened more to my healing sessions and awakened my own innate in a way I did not think possible or truly understand in the what I deem as my “past” so far in this lifetime. Some call it Auto Healing, as once the “Energy” is on, and you don’t resist it, your INNATE, your natural body processes takes over and does the healing in your energy field, your body internally and your physical body. All felt, seen, visible to you once you know what you are feeling, seeing and allow it to happen. The “church”, the politicians, the powers that be, they all made us afraid of our innate ability to heal ourselves as if we heal ourselves they cannot control us, charge us and keep us in fear and debt. They instilled, programmed fear in Faith Healing, Witches, Shamans, Druids and all manner of mystical and alternative healers. They licensed and controlled healing, medicine, and they made plant cures illegal, and made our innate quantum curing abilities the laughing stock and illegal with severe punishment. They called healers crazy, and when the body moved in “odd” ways to heal itself, they called it possessions, demonic, dark and evil and they FORBID this healing work. All whom use this same innate healing ability. All religions, all healers, throughout time as we know time to be, they all used this same natural innate healing process / energy and it was stopped, made illegal, suppressed, and the people teaching it and using it to seemingly, magically heal others, well they were jailed, killed, fined, and burned at the stake. We all have this natural healing power / skill, and all the tools and permissions we need to do this seemingly magical miracle healing that is really our natural body process, our God self, our own innate. I have seen videos, tv show with radical Faith healing, whereby hands were placed on people in front of a large group of people, usually a church, and it was so fantastical, so unbelievable as the body would seem to animate itself. People would flail around, people were crying and calling out in praise. I saw it as staged, faked so that the audience to give money. In this type of healing, if the body needs to, it will move in such a way as to look as if you are flailing, and that your bones and muscles simply don’t exist, when in truth they are letting go of all resistance and the innate, your natural body process is moving in a way to miraculously, yet naturally heal yourself. The hands on healer simply awakens your innate, kind of a reminder and an gives their energy to the process as well. All to use the natural human abilities to heal. No need to know what organ, bone, muscle, cell needs healed, as the body knows and simply does what needs done. This seems to have been kept secret, yet so many books talk of this energy and this healing power, however it is somehow coded, knotted, congested or has been in the past and no it is clearly seen, it is right there in front of you. It is in your own hands, your body RIGHT NOW, this very instant. This Can be Done all the Time, and by anyone and costs NOTHING. No more to the barbaric, forced healing of doctors, and other therapies that litterally force a healing, that really only alleviates the symptoms, and actually blocks the cure. YOU are the Cure to your own disease, pain, back out, bones out, and any pain whatsoever in your body. This free, effective, seemingly magical miraculous healing ability we all have is our natural ability and needs no training, no certification, no ordainment, no license, no permission from mankind and their governing bodies in any way. If they taught you that you could Self Heal and that your Innate, your own higher self and inner guidance could actually take control of your body and heal you, well then you would not need them, so they made if Magic and evil and they made it forbidden, and they taught medicine and forced it in a way that needs schools of indoctrination and big drug companies and NOTHING to do with your bodies natural abilities to heal itself. Witches were Quantum Healers, it looked magical but really they were facilitating the body of the client, person needing healed to heal themself, another words they got the healing process started or initiated the healing, and the innate, natural abilities of the body took over from there. Onlookers may have perceived the bodies movement or actions as demonic, as the body really does take over. This is natural. This is the bodies natural process such as the heart pumping blood, or the lungs use of Oxygen, or any other body process you already accept as natural and innate and have not been taught or forced to fear. My mission is for the secrets, the mystery and all the lack and fear and unbalanced commercialism that keeps this healing locked away out of reach of all to BE GONE forever. I want you all to heal each other every single day for FREE and use your innate, God Self to do this healing. I want you to empower yourself and to not need a doctor, a specialist, a drug or anything outside of yourself to miraculously heal. It is our natural bodies ability to “magically” “miraculously” heal. It is as natural as an embryo becoming a human, a seed into a tree, and as natural as your organs knowing how to grow and what to do in your body, as naturally as your arm knowing where to grow, and as natural as all your body processes such as breathing and blood flow. Your innate healing ability to HEAL ANY, absolutely any disease, pain, misalignment, discomfort, broken bone or ailment of ANY kind. We have a private Group to Explore, Study, Teach, and Learn about Quantum Innate Healing such as this and more. If interested private message one of us and we will add you. You ALL are born able to perform this ancient healing practice on yourself and others.